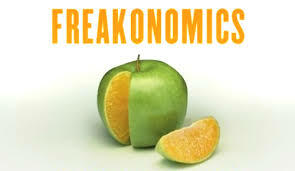 I’ve been busy with freelance assignments of late, but a Q&A I did with Freakonomics, the bestselling economics book by Stephen Dubner and Steven Levitt, is posted online today at the website of The New York Times, which bought the blog last month. I highly recommend the book, as it is a novel way of looking discovering hidden relationships through economics (it’s the reason why the old swimming pool at my house is buried under a few tons of dirt). The online discussion takes a look at Congress through the framework of corruption, along some of the interesting history of congressional graft.